Born November 20th 1956 in Reno, Nevada. Thomas (Gordon) was the youngest of six and is a lifelong Nevadan. Tom started work at a young age, and finished his career at Harrah’s Casino as a truck driver. He enjoyed listening to classic rock, talking on his CB radio, and spending his time with his family and friends. 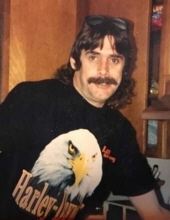 He is survived by his daughters Charleen Lawson and Amber Player; his son TJ Lawson; his mother Sandra Jamieson; older brother Chuck Lawson; sisters Lori Winberg, Becky Draughon and Robin Choi-Markem. He was proceeded in death by his older brother Eddie Lawson; and his wife of 25 years, Melanie Lawson. Thomas was a big-hearted soul in a rough and hardened exterior. He will forever be missed. Services will be held at Mountain View Mortuary, 425 Stoker Ave, Reno on Saturday February 16th at 11:00 am with reception to follow. To send flowers or a remembrance gift to the family of Gordon Thomas Lawson, please visit our Tribute Store. A reception will follow the services at Mountain View Mortuary. "Email Address" would like to share the life celebration of Gordon Thomas Lawson. Click on the "link" to go to share a favorite memory or leave a condolence message for the family.